StarAgency, one of our returning customers, is in charge of organizing one of the biggest music festival in the country. 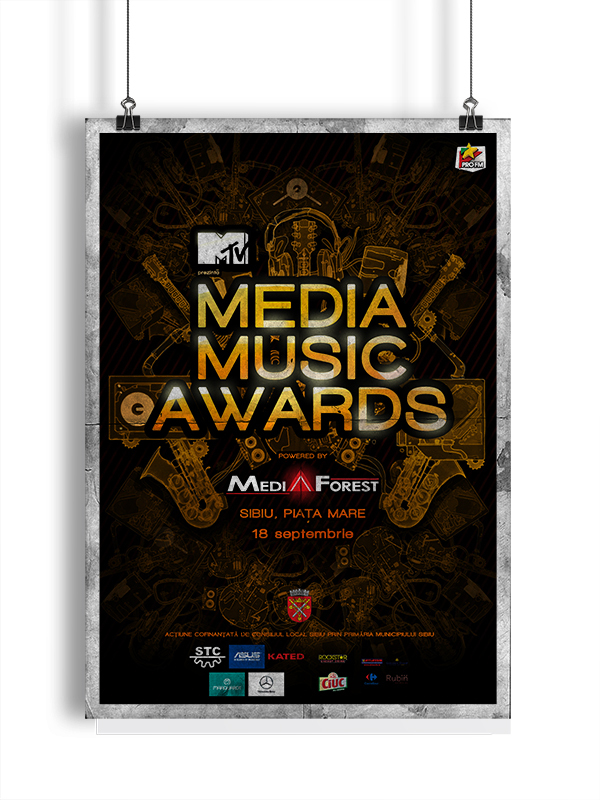 They turned to us again this year to deliver the main graphics for the “Media Music Awards” event. You can read more about Media Music Awards and StarAgency by clicking here on their names. The theme was “industrial”. Everything needed to be in vector format so it could be scaled and used on prints up to 6 meters! Our award winning designer took the challenge full on! Started sketching and the final product was gorgeous!